Connect Sales and Service Around the Customer. To create the type of customer experience that builds brand advocates, you need a consistent 360-degree view of the customer across all departments. That requires sales and service on one platform so you can work faster and smarter to deliver great sales and service experiences. 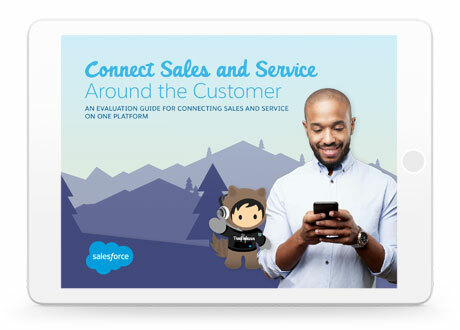 Download this e-book to learn new ideas for how your business can power customer engagement and boost revenue with sales and service working together on one platform.